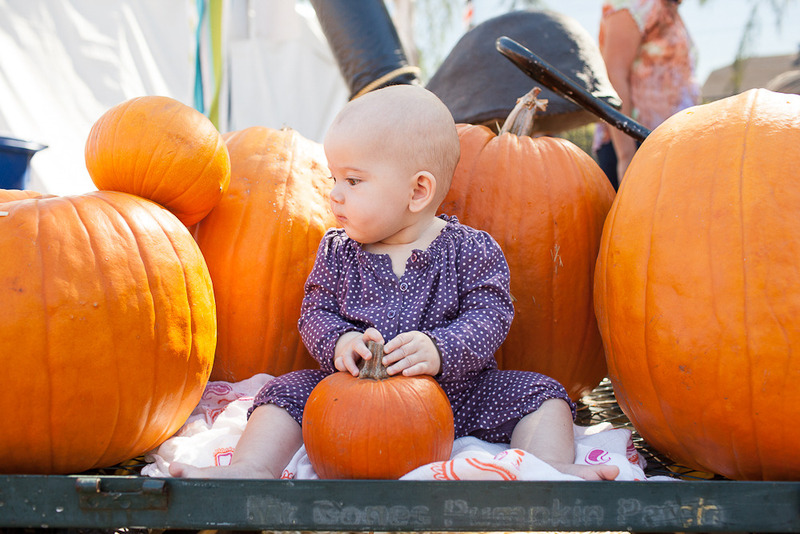 Your very first Halloween is here and we took you to your very first pumpkin patch! 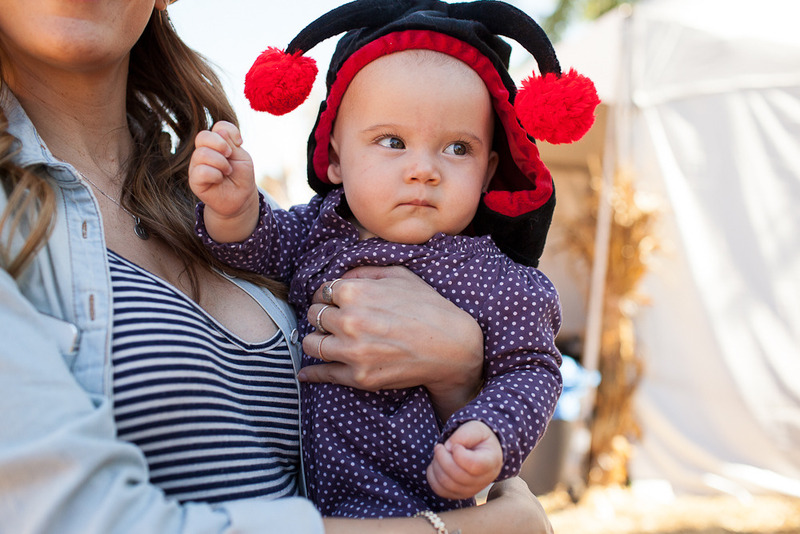 We are excited to get you all dressed up in your first costume, which Mama took very seriously in finding. I was lucky enough to get a sneak peak of the costume which I know everyone is going to go crazy over. 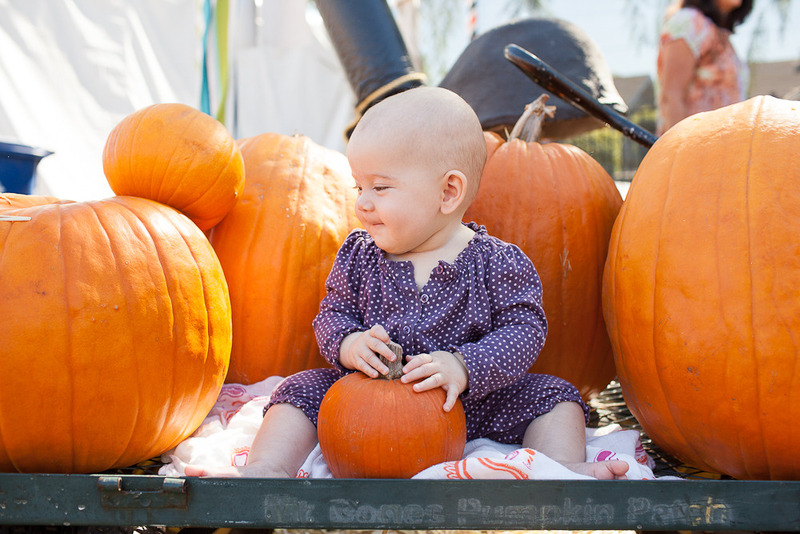 We had a great time at the patch - in an L.A. sort of way. After all, the patch wasn't at some distant farm like we had planned, but instead nestled right in the middle of West Hollywood and it was literally 90 degrees. 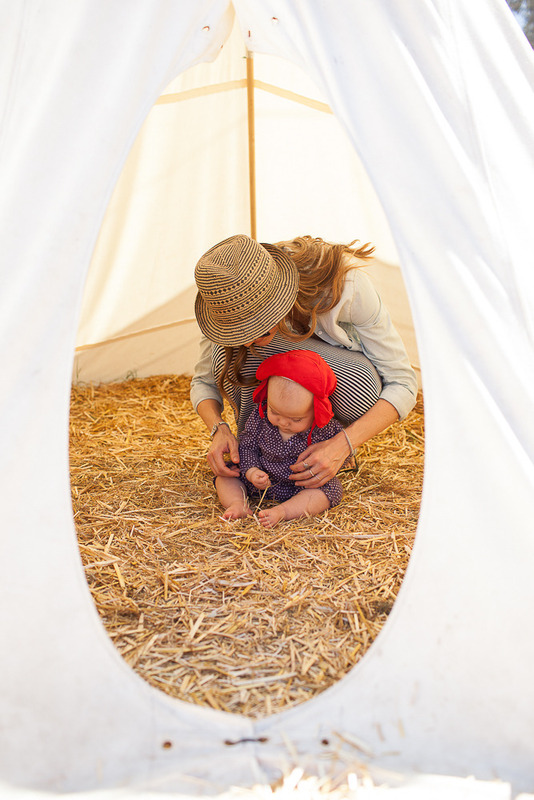 We found shade, trying our best to keep cool we found shape inside tee-pees, and most importantly, we took lots of fun pictures with you surrounded by pumpkins twice your size. I would say it was a success. We were joined by our good friends and best neighbors Emily & Cory whom you might remember from flying to Philadelphia for their wedding. When we set up a little photo area for you, the crowd gathered to see who this amazingly cute little baby was, trying to eat a pumpkin. 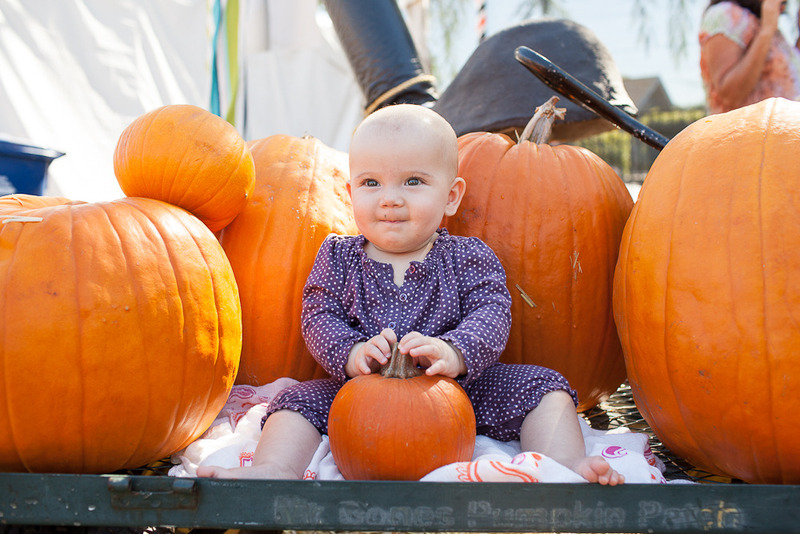 In a place that featured a water slide, face painting, petting zoo, and lots of Halloween fair, you were definitely the star attraction.